You will find the option for the screen rotation under Auto rotate. Portrait is off, Rotation auto is on. 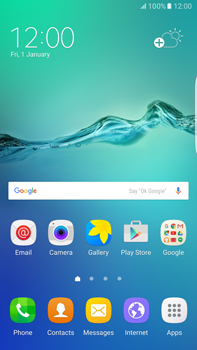 Turn your Samsung Galaxy S6 Edge + off, reboot it and check whether the problem has been solved.